For any of us foodies that started a January detox it’s safe to say that at just over two weeks in, a lot of us are not overly excited at the prospect of having to skip that Friday night takeaway and large glass of wine! Keeping healthy is definitely a discipline of the mind and it’s very easy to fall off the wagon at even the slightest whiff of something you really shouldn’t be eating, but who said healthy has to equal bland? Thanks to the rise of the ‘healthy foodies’ there are now more healthy recipes than ever to cater to your gluten free, wheat free, no carb, no sugar dishes, all whilst tickling your taste buds with a clear conscience. The likes of food bloggers Hemsley and Hemsley and Madeline Shaw offer bounds of inspiration for cooking dishes that will leave you feeling satisfied and not reaching for the biscuit tin! The Hemsley sisters slogan is ‘The art of eating well’ and I think they’re onto something – if you’re missing your Italian food, why not replace your traditional no-go spaghetti, with ‘Courgetti’ – using a spiralizer create spaghetti shaped courgette ribbons, and serve with their fresh and powerful Basil and Cashew pesto. 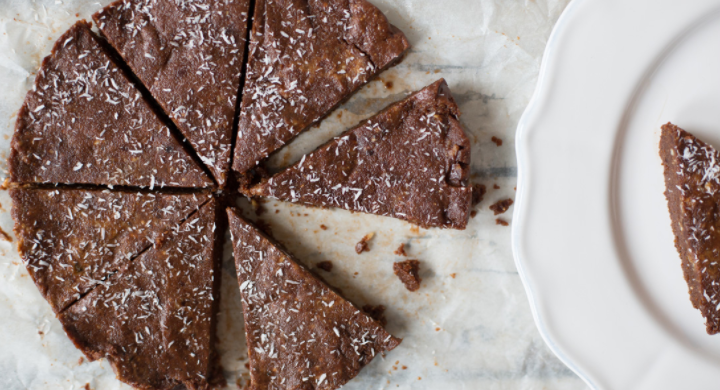 If you’re after more of a treat, Madeline Shaw’s recently published Raw Chocolate Peanut Brownie cake healthy recipe will satisfy even the sweetest tooth without leaving you with a nasty sugar crash. This gooey and moreish recipe is the perfect afternoons pick-me up! With healthy recipes like these it makes ‘eating clean’ a whole lot easier and much more fun, so banish the boring and bland idea of a January detox and get creative in the kitchen, who knows you may even last past January.